I read this article and found it very interesting, thought it might be something for you. The article is called India’s Most Dangerous Roads Are In…Ludhiana and is located at https://archive.indiaspend.com/sectors/indias-most-dangerous-roads-are-inludhiana-26110. * Goa, Tamil Nadu had maximum deaths reported per lakh population, Nagaland least. 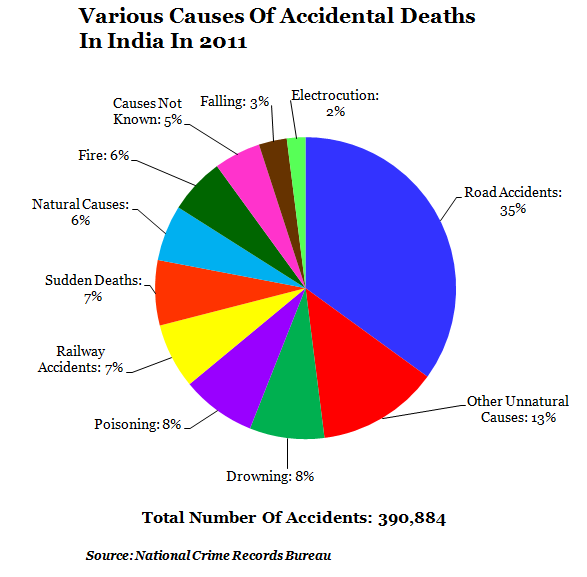 India sees an amazing number of road accidents, many reported daily in media across the country in graphic detail. 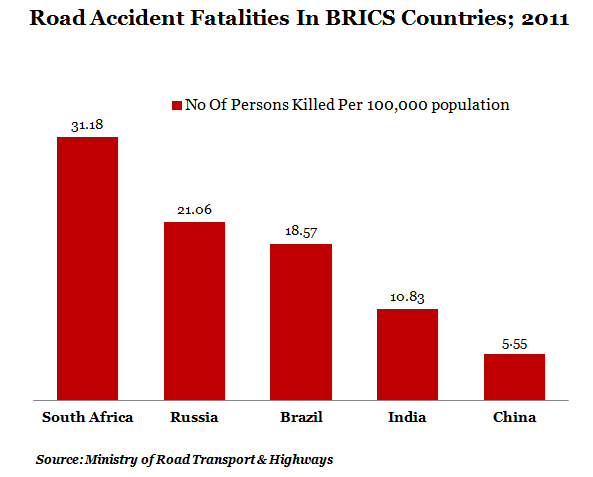 While there is expected umbrage over the sorry state of roads and driving habits, it would be instructive to know how India fares in the global scheme of things. 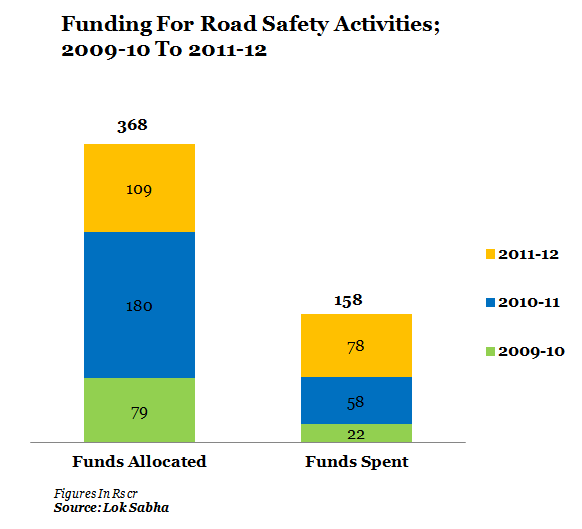 Having said that, road accidents are a major concern in India. According to National Crime Records Bureau (NCRB), nearly 35% of accidents reported in the country are road accidents with other unnatural causes following it with 13%. During 2011, the last year for which data is available, 497,686 road accidents were reported in the country and 142,485 people lost their lives as a result of road accidents – which is one person dead for 3.5 accidents reported. 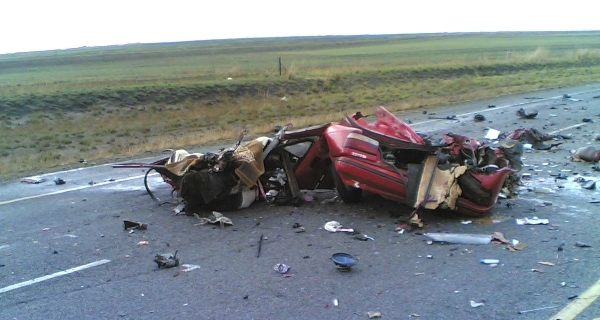 The number of fatal accidents (where people have lost their lives) has been increasing consistently – from 18% of total accidents in 2002 to 24 % in 2011. Rural areas saw more accidents (i.e. 53% of the total accidents) than urban areas with 47%. Fatalities were also reported to be higher in rural areas (63%) when compared with urban areas (37%). Lack of emergency care could be one major reason for more fatalities in rural areas. 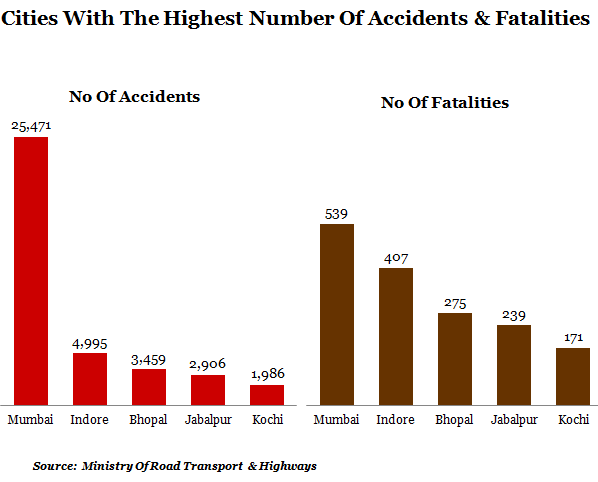 Among cities, even though Mumbai had the highest number of accidents reported in the country with 25,471 i.e., nearly 28% of the total accidents out of 39 cities (as classified by the Census), it has the lowest severity (defined as road accident-related deaths per 100 accidents) with 2.2. Dhanbad had the lowest accidents reported with 138 but was among the cities with a high severity of 51 (the highest being Ludhiana at 66). Let us now look at state-wise data of road accidents, people killed in fatal accidents and the number of vehicles registered in the state. From Figures 4 (a) & (b), we can see that Goa had both the highest number of accidents per lakh population and the highest number of people killed in 2011. 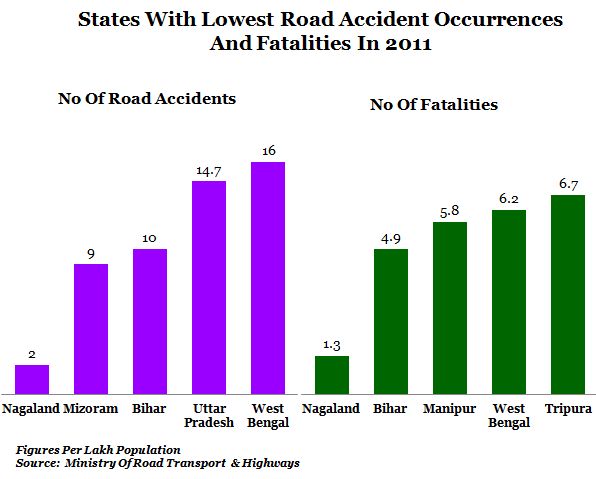 Nagaland, on the other hand, had the lowest accidents reported and the lowest number of people killed in these accidents. 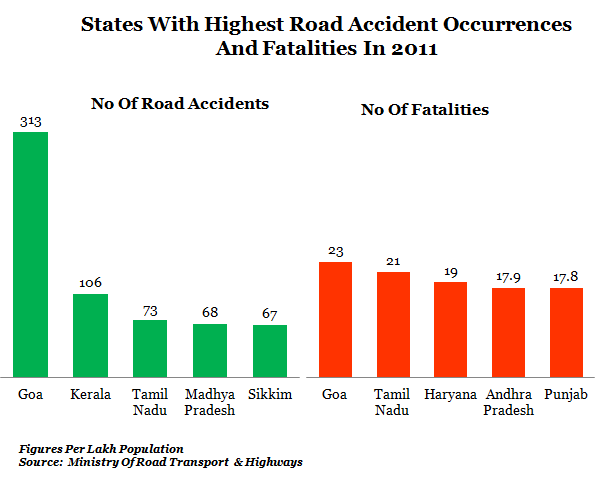 It’s interesting to note that Kerala, which had the second highest number of accidents in the country based on per lakh population, does not feature among the top 5 in the list of number of people killed in these accidents. 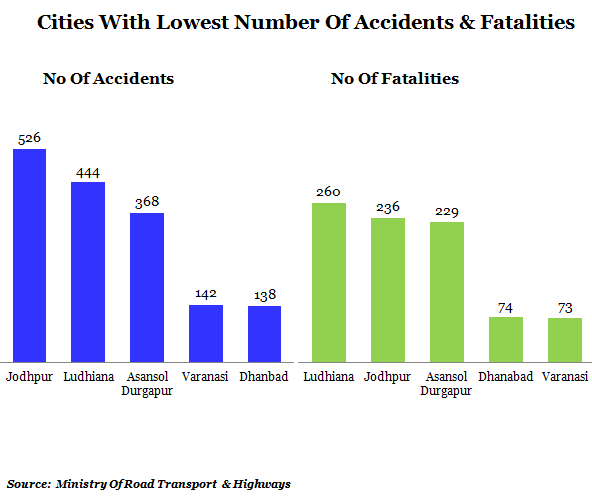 And even though Punjab and Haryana appear somewhere in the middle range in the number of accidents with 24 and 44, respectively, they actually appear among the top 5 in the table showing people killed in these accidents. 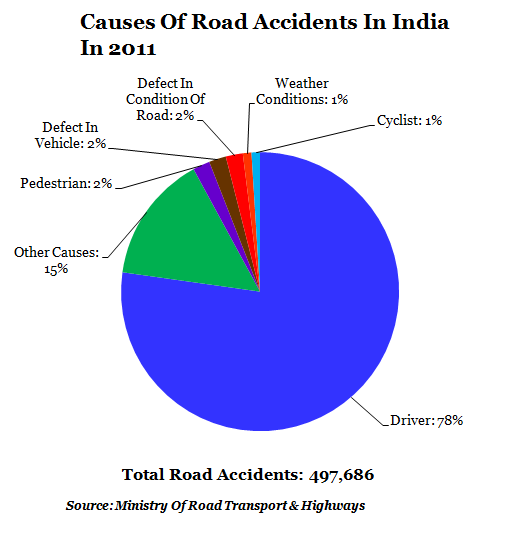 Most road accidents in India are caused by drivers, and account for over 77% of all accidents. Exceeding the speed limit was one of the primary causes (59%) followed by intake of alcohol and overloading /overcrowding. So, how is the Government handling the situation? The Ministry of Road Transport and Highways says it’s adopted a multi-pronged approach to road safety based on 4Es of road safety i.e. ; education, enforcement, engineering (roads & vehicles) and emergency care. The Government has decided to establish the National Road Safety Council, which will be the apex body to decide on matters pertaining to road safety. The National Highway Accident Relief Service Scheme (NHARSS) provides cranes and ambulances to state governments for help in search-and-rescue operations after accidents or even natural calamities. According to a Planning Commission report, the social cost of road accidents in India was Rs55,000 crore in 2000, which was nearly 3% of gross domestic product (GDP). World Health Organization (WHO) and World Bank estimate the cost to be 1.5% of GDP for countries like India. So, it’s clear that the Government needs to focus on drivers and driving habits in India. There needs to be a huge thrust on promoting safe driving, not just through punishment but also by incentivising good behavior.